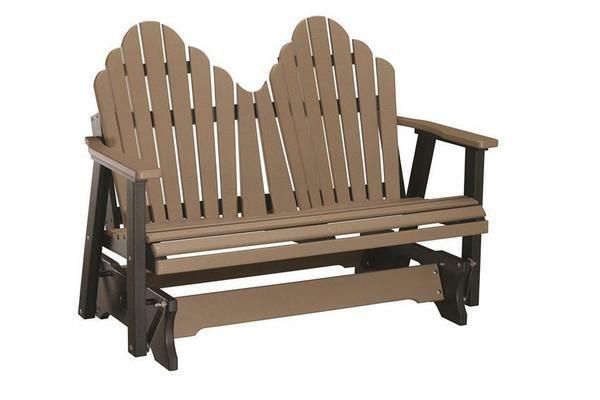 Grab your favorite drink and someone special, kick back and glide the day away in our Berlin Gardens Poly Cozi-Back 4' Glider Bench! Handcrafted by skilled Amish woodworkers in an array of magnificent poly colors, with bold Sunbrella cushion and throw pillow options, you're sure to find the perfect bench that will set off your unique outdoor decor! 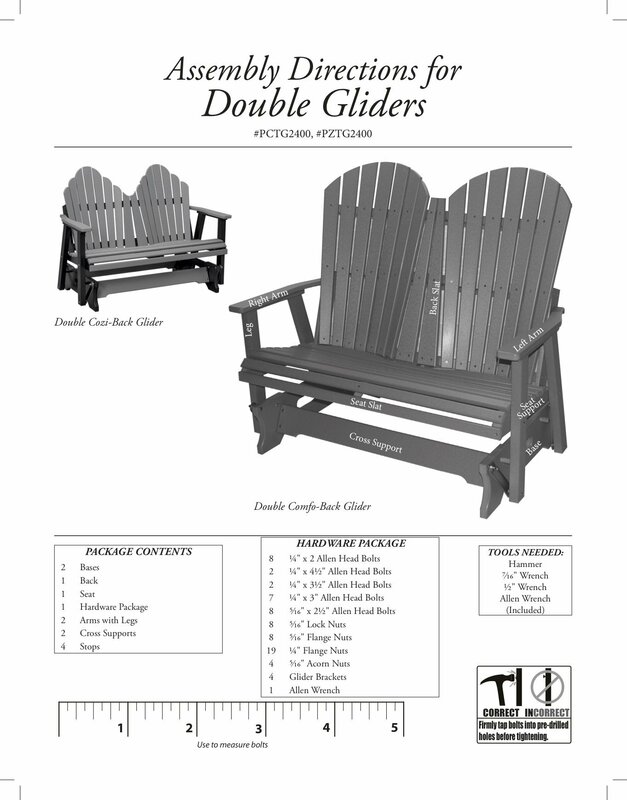 Add our optional cupholders and ottoman to really get the most from your glider! Poly lumber, a wood substitute that is increasing in popularity for use in outdoor applications, is made from 100% recycled milk jugs and detergent containers and formed in planks reminiscent to traditional hardwood. This eco-friendly lumber is then crafted by Amish woodworkers in the same manner as wood to create beautiful furniture that is maintenance free and resistant to fading, cracking, chipping, splintering, warping, termites and mildew! With the twenty year warranty for residential use, you can glide easy knowing your investment in outdoor furniture will last decades! *Optional Allochrome Glider Brackets are perfect for salty areas or areas with harsh winters or heavy rain - ensuring your metal components have an extra level of protection for the long haul! Custom Two-Tone Colors Are Available Upon Request - Additional Charges Will Apply.